I am always on the lookout for new ways to buy Disney World tickets with points. Even though we have some tried and true methods in our full Disney guide, you might need other options for free tickets. Maybe you are taking a second free Disney trip (as many of our readers plan to do). Or, maybe you have a big family and need lots of tickets. Or maybe you already used the Barclaycard Arrival Plus and Capital One Venture for a different travel goal. Whatever the case, we’ve got your back. Then I got super excited. Because I knew this was a good sign. As it turns out, Chase and Citi both use a third-party for some of their reward bookings. That third-party is called Connexions Travel, and it’s one of the best things that could ever happen to Disney fans. We don’t need to get too far in the weeds, but here’s the scoop: When you reach a Connexions Travel agent, they can book Walt Disney World Tickets with your Citi ThankYou Points. ALL you have to do is call the main Citi Redemptions number at 1-800-842-6596 and go through the prompts. You’ll probably get a general redemptions agent first. Then you should say, “Please connect me to a cruise agent.” That is the MOST IMPORTANT part. You must speak to a “cruise agent” (this will be the Connexions Travel agent) specifically. If you talk to any other agent at Citi, they are going to tell you that they don’t offer Disney tickets. 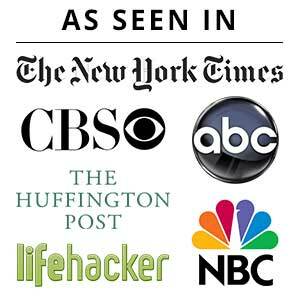 That’s when you know this is an awesome secret–even Citi reps don’t know about it! Right now, the best deal is the Citi ThankYou Premier card because it has a generous signup bonus AND the points are more valuable. If you have a Premier card, then you can redeem your points at a rate of 1.25. If you have Citi ThankYou Points without a Premier card, then you redeem at a 1:1 rate. This is great, because for less than 60,000 ThankYou Points, you could have two 3-day Park Hopper tickets. And if you wanted 2-day instead, or even a 3-day basic ticket, you could get either of those for less than the 50,000 points offered by the current signup bonus. Citi keeps it really simple here. The agent will redeem your ticket(s) using what’s available on the Disney website. 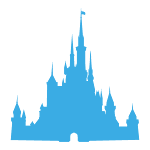 This makes planning very easy, and you can even take advantage of any special sales Disney is offering when you go to book. Also, it means there aren’t blackout dates or inventory concerns unless Disney were to sell out! 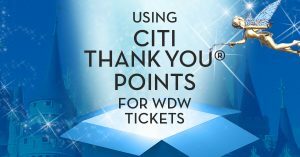 So if you’re looking for another great option for Disney tickets, check out the Citi ThankYou Premier, with a current bonus of 50,000 points when you spend $4,000 in the first 3 months. That will earn you at least 54,000 points, worth at least $675 in Walt Disney World tickets! Richmond Savers has partnered with CardRatings for our coverage of credit card products. Richmond Savers and CardRatings may receive a commission from card issuers. 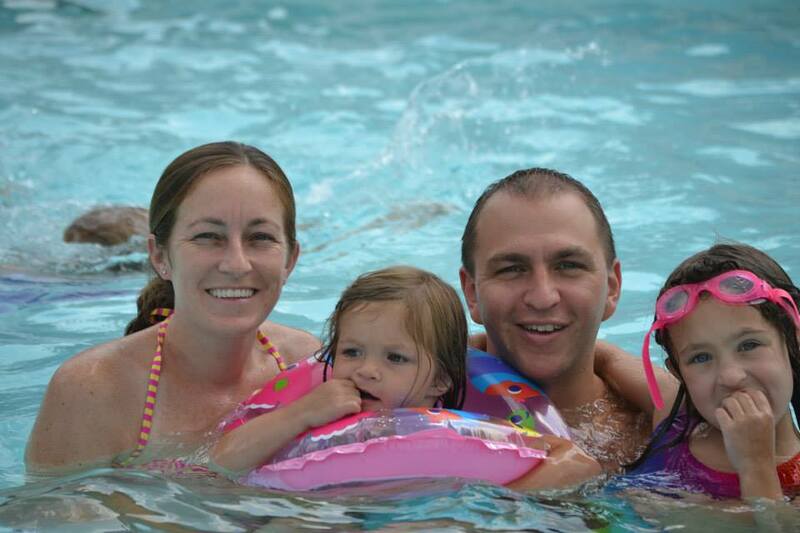 Take Your Family to Disney for Pennies on the Dollar! We did it, and you can too. This guide will show you everything you need to know. Want more help? We'll walk you through all the steps for free in our program called Keys to the Magic Kingdom Challenge. Join now here -- we're taking the first 500 families who sign up. Thanks for the tips. I tried calling them but seems they could not see any Walt Disney Ticket. They said that they get limited tickets which might have sold out. Hmm–that doesn’t mesh with what I’ve heard directly from multiple agents. Could you try again and report back? You absolutely must speak to the third party cruise department. They get tickets directly from the WDW website…so it can only be sold out if Disney is in fact sold out. No such thing as limited tickets here. Any idea if you can use these tickets to ugprade to the annual pass at the end of the day? Great question. Don’t know for sure, but once you have the tickets in hand I think they’ll work like any others. I just spoke to citi rep and they stated redemption rate was 1 instead of 1.25 with the premier card. Do you know where this policy is stated? Depends on how you are redeeming. Was this with a cruise rep for WDW tickets? I’m trying to book a cruise and also buy Disney tix (two different trips). Just FYI, I have the Prestige card and was told my points were worth 1.25% in August 2018. In Jan, I was told by many levels of reps and managers that it is 1-1 on the points (cruise). @Scott: Were you calling for the Premier or Prestige card? I think the Premier has had a better exchange rate. I’m considering having my husband apply for the Premier for tix if it’s still 1.25%. Does this work with Disney LAND in California? I believe so! I haven’t called Citi recently, but at last check, yes.